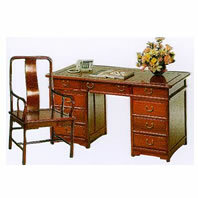 Best known for her authentic rosewood range of furniture which is renowned to instantly perk up any modern home. Designs are modified, simplified and updated from traditional Ming and Qing dynasties. Only the finest raw materials and superior workmanship go into each piece of furniture, ensuring not only quality but the promise of attractive returns to your investment.